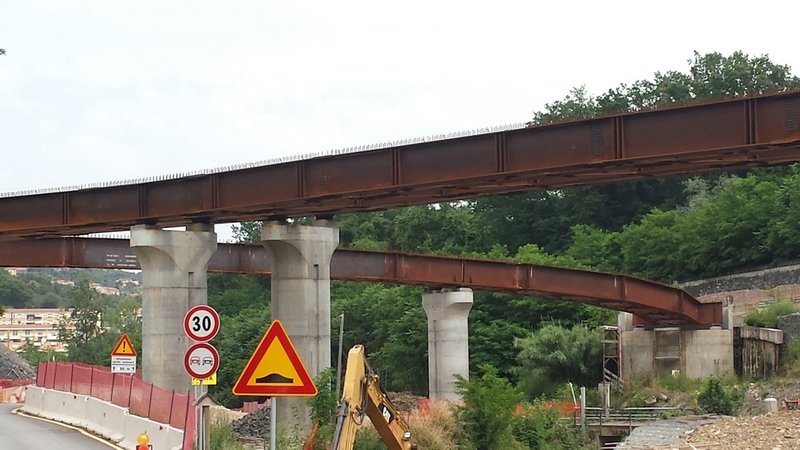 Detailed design of the viaducts Del Forno, Buonviaggio, San Venerio and Ramps for about 2,500 tons. Cor-ten steel supplied in operation. Multiple spur gears made of mixed cross section steel beams.